Keeping up with all the latest styles when you have a set budget can be tricky. Luckily, there’s a way to get the newest styles and trade in ones you are tired of. Update your wardrobe with the latest styles for less at Sacks Consigned Designs. In our shop, you’ll find an outstanding selection of clothing, accessories, shoes, housewares, and more for a fraction of their original cost. Owner Judy Robinson brought upscale resale to Fayetteville when she opened her boutique in 1989. Over the years, we have collected and sold items from some of Fayetteville's finest closets and cupboards. Whenever you come to Sacks, you can expect new choices. From Chanel, Lilly Pulitzer, and Joseph Ribkof to Alfred Dunner, there are brands everyone loves. 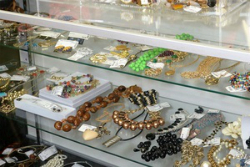 Everything we sell is gently worn, clean, and in excellent condition. If you could use extra cash, become a consigner. Bring in your items, and we will determine their value. 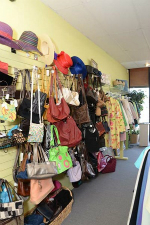 We look for name-brand labels and current and fashionable styles in excellent condition. We accept consignment on Tuesdays and Thursdays from 10 a.m. to 4 p.m., so stop by.